Presentation 6:30 to 7 P.M. 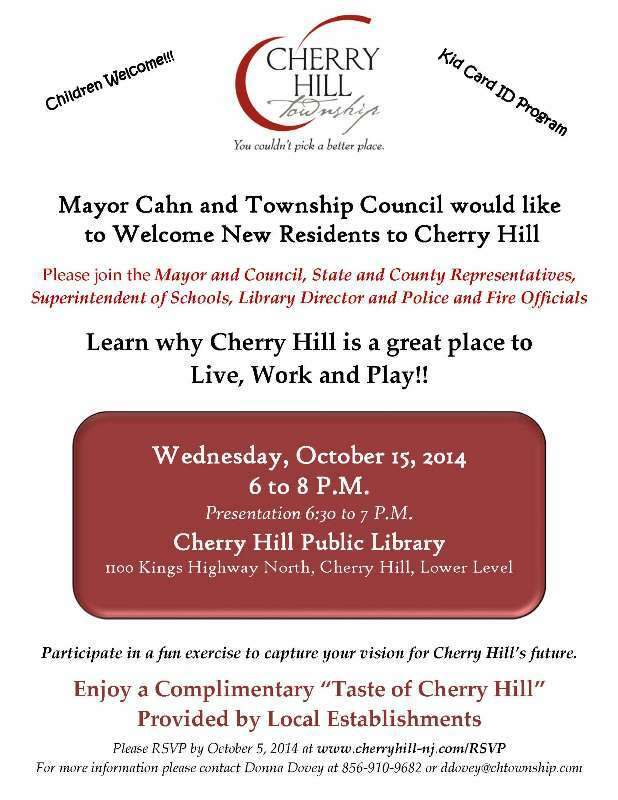 Participate in a fun exercise to capture your vision for Cherry Hill’s future. Cherry Hill Shredding and Recycling Day - 10 a.m. to 2 p.m. Sunday, Sept. 7. Cherry Hill Dept of Public Works, 1 Perina Blvd. FREE!